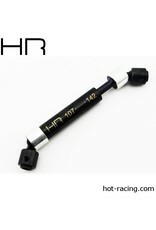 These are the optional Hot Racing steel main center drive shafts for 5 millimeter out put shaft. Light weight and CNC machined from solid billet carbon steel. Heat treatment black finish. Super smooth operation shaft travel with star drive. Aluminum pin retainers. One steel main center drive shafts. 107-142millimeter (35millimeter total travel) laser engraved logo. 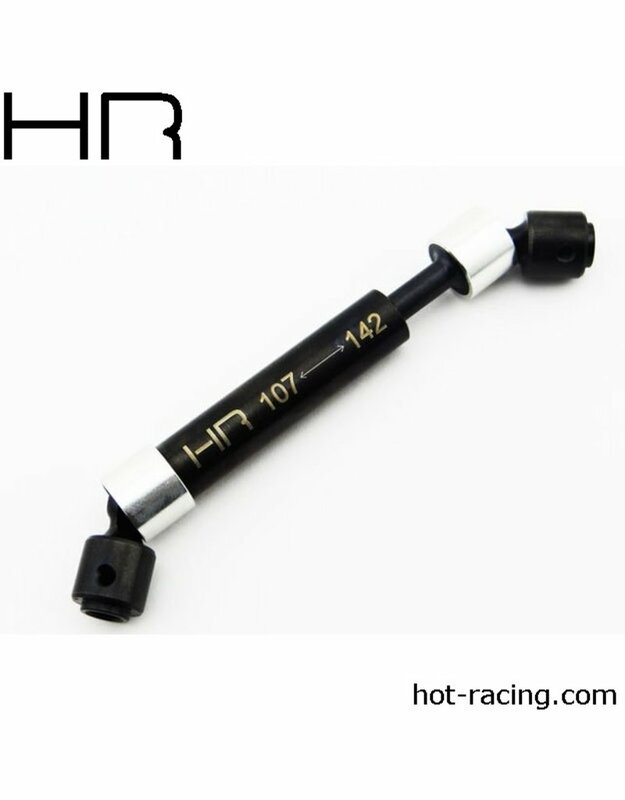 Fits Tamiya CR01 (Front), Axial AX10 (stock), SCX10, Tamiya CC01 and custom truck (5millimeter output shaft).